BEREA, Ohio (AP) — With the losses piling up and heat intensifying around him, Browns coach Mike Pettine is keeping cool. When a reporter pointed out Thursday that his team has gone just 2-14 in its last 16 games, Pettine interrupted. “Thanks for reminding me of that, by the way,” Pettine playfully quipped. Pettine’s future could be in jeopardy with the Browns (2-9) stuck in the middle of one of those slides that has taken down Cleveland coaches before. They’ve lost six straight and suffered one of the most gut-wrenching defeats in recent memory Monday night, when the Ravens blocked a field goal on the game’s final play and returned it 64 yards for a touchdown. The loss — and some questionable clock management decisions by Pettine in the closing minutes — brought further scrutiny to the coach in his second year and his staff. 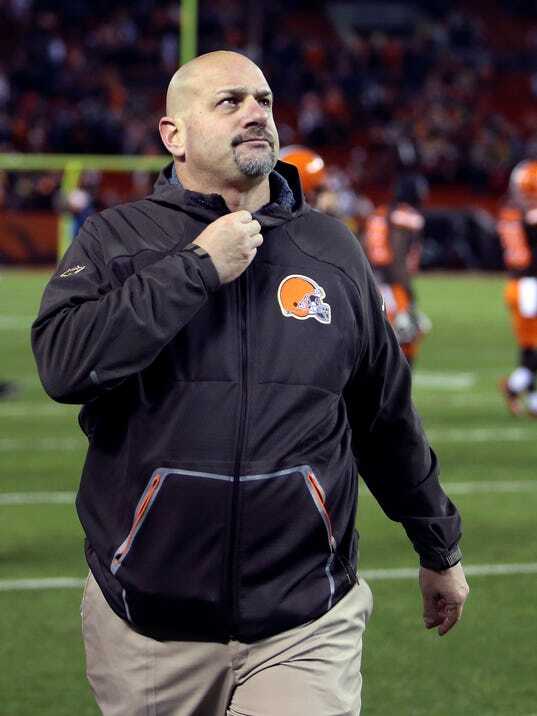 Pettine understands that his job could be hanging in the balance of Cleveland’s final five games.